The original and previously unpublished ending to Chaosium's Call of Cthulhu campaign supplement Spawn of Azathoth. 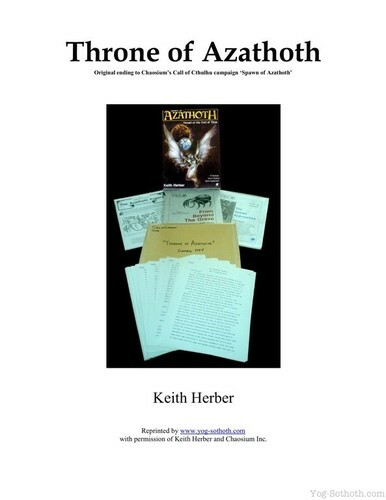 A seven page document featuring a foreword by the author Keith Herber, along with examples of the original manuscript. Sign in to download this.